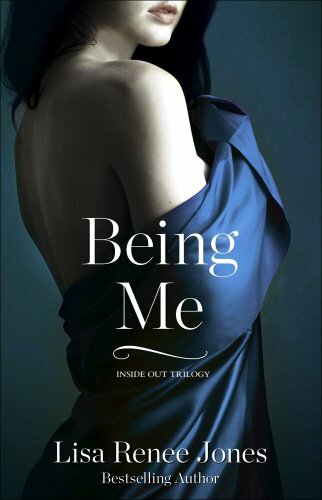 I’m posting an early review of a book that will only be out in June, but I was just too excited for the “If I Were You (Inside Out Trilogy)” follow up. I devoured this review copy that the author sent to me over the weekend. And you know what? I enjoyed it just as much as #1. Dare I say… maybe even a little more? This follow up has just as much mystery and intrigue as #1, but we get even more of that romantic, steamy intensity. Much is revealed in this book. The first half is more subtle and even-keeled (even though I did experience a few adrenaline rushes). A lot of clue gathering, contemplating, and my favorite part, character growth and all-consuming romance. But the second half regales us with “connect-the-dots” buildup, relieving reveals and my favorite… super-angst! The author indulges our need for burning love, and Chris (tortured artist/alpha male #1) does NOT disappoint. What does it mean that he’s bound me in real life and on canvas? Passionate and giving and oh yes. Bossy. Obnoxiously so, at times. Chris as an enigma and his personal demons have the potential to ruin him. He is so giving. And also so… giving up. “And what if you can’t handle it?” No denial of what I’ve said. There is a sudden, crushing pressure in my chest.This is what he is scared of, what he fears. That I can’t handle all that he is. The possessive way his body cradles mine, the way he says the words, sends a tingling sensation spiraling through my body. I refuse to think of the consequences of giving myself to Chris, a man I know will consume me, perhaps destroy me, but right now he feels as if he is saving me. I am willingly all his. … Mark had quite a bit of my attention in both installments. But, as gorgeous and in control as he is, he scares me a bit, you know? Has a subtle seductive creepiness about him and with the help of Rebecca’s journals I couldn’t help but be extra suspicious. What is it about artists warning me off Mark? In this book, we get to know him on a more “relaxed” level. He actually made me smile… and even slightly swoon, instead of quake. Mark wraps an arm around my waist and catches my chin, forcing my gaze to his. And well… just ’cause I allowed myself the luxury of letting go, “Mark-wise”, it doesn’t necessarily mean I should have. Who knows what’s in store for us? After all, there’s still a 3rd installment to come. … and the now missing Ella. There are a few other characters that might shed some light on certain circumstances, or cast an even darker shadow on Sara’s new world as a whole. A few potential enemies or could they possibly be allies? To Sara? To each other? The author plays us to the very end. Do we continue to suspect, or accept… certain people? I’ll let you find out. And you will. For some of it. And you will question even more if it. Gorgeous writing, and gorgeous (yet suspect) characters. This one satisfied my “Inside Out” cravings, gave me the answers I was looking for and dug me in a little deeper when I realized there was a whole lot more to it. What is so horrific that it haunts him this completely? I dunno, and I can’t WAIT to find out!!! P.S. Did you guys know that Starz picked up this series for a TV show!!?? YAY US!!!! Wow Maryse, this must be pretty freaking awesome if you are doing an early review. I am anxiously awaiting this one and I have my suspicions about everyone, so I can’t wait for June to get here. Thanks Maryse! June can’t come fast enough! I am anxiously awaiting this book. I’m jealous!! Can’t wait for this one! Yah… thing is, now I’m desperate for #3!!! I’m loving this series and I’m really looking forward to June. Great review. I am soooo jealous! I loved If I Were You and both lost journals. I am patiently waiting for June … I hope there are no delays like a few of the other trilogies! I just read the first one, and the journals available, this weekend! I couldn’t believe how much it sucked me into the story…(im)patiently waiting for the next release! Did you read the Journals before #2? Hi Kari! I didn’t. I’ve only read #1 & #2 so far and #2 flowed perfectly from #1. I didn’t get the impression that I was missing any pertinent info. I suppose the journals just enrich that eerie experience, and the Rebecca’s character development? Okay great!!!!! Thanks for the info and the review. Can’t wait to read #2. OMG – I am soooo excited right now! I just started it and can’t wait to get through it! Excited for the 4 star review, Maryse! Starting it right now ! I?m dying to know what”lol happen next and I want to know what will happen between Sara and the sooooo mysterious Mark !